Seattle startup Tomorrow Ideas has launched an app that lets users draw up a will, set up a living trust and buy life insurance through the same phone they use to call an Uber. It sounds like a bad joke from a baby boomer: How do you get millennials to think about death? Use an iPhone app. But that’s the business plan for Tomorrow, a mobile app launched this summer by Tomorrow Ideas. 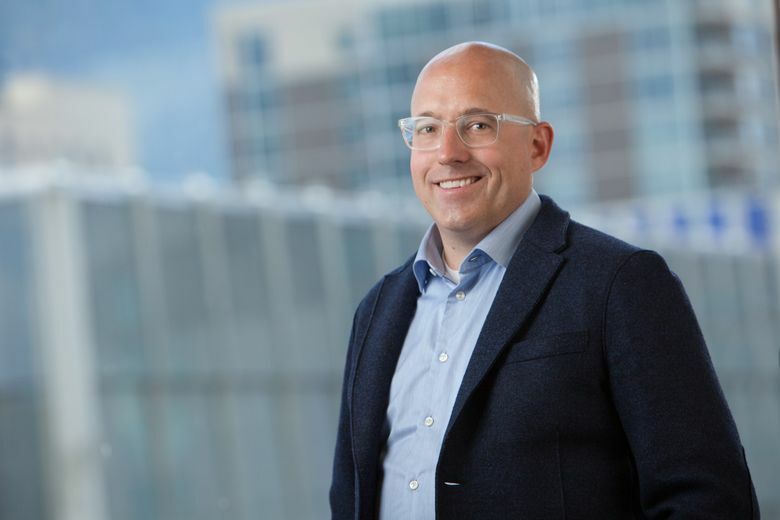 The Seattle company, with 12 employees, raised $2.6 million in seed funding from venture capital, private equity and angel investors in July. Its goal: Bring wills, living trusts and life insurance to Americans on their mobile phones. Its challenge: Persuade people under 40 — 78 percent of whom don’t have a will, according to a Caring.com survey — to draw one up, as well as set up a living trust and buy life insurance through the same phone they use to call an Uber. Tomorrow’s founders aren’t strangers to talking about death. CEO Dave Hanley lost both his parents in his 30s. His father’s will was outdated, so while mourning the loss of a father and taking care of a mother with dementia, Hanley also had to quickly bring in an attorney. “What wasn’t a significant amount of money, created a significant headache,” Hanley said. Hanley — who co-founded a social-media agency that was acquired by Deloitte Digital in 2013 — started Tomorrow Ideas in 2016 to address that problem. He assembled a team of co-founders — including Starbucks’ former head of iOS Wayne Rambo and Erik Berg, co-founder of the financial platform Wealthfile. They developed an app that lets users create a will and trust and update it anytime without requiring an attorney. 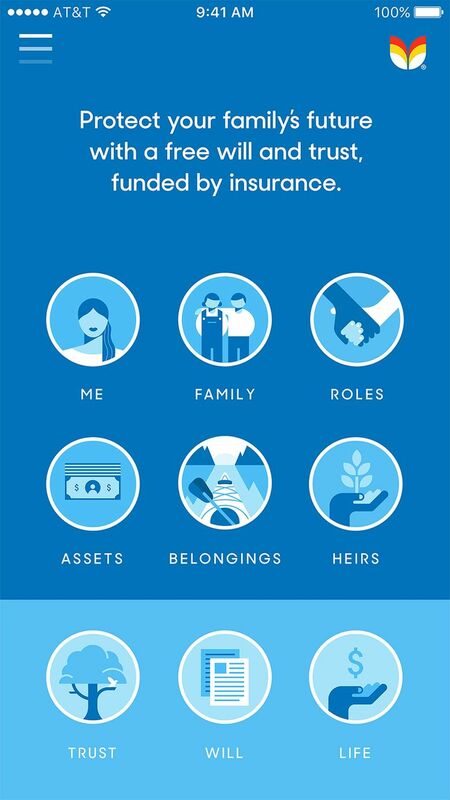 That’s one of the Tomorrow app’s main draws: Setting up a will and trust is free and easy to document; you can even take pictures of your belongings. Rather than engaging an attorney to alter something “as small as a name change” in a will, the app makes it fast, Hanley said. It’s currently legal in every state except Alaska, Louisiana and North Carolina, and available on iPhones. While there are other online services like LegalZoom and RocketLawyer where users can create wills and trusts, Tomorrow’s founders say it’s the first to bring a will, a trust and life insurance together in a mobile app. The company makes money only from commissions when users buy life insurance through the app with companies like Prudential or AIG that Tomorrow partners with. That’s where Joshua Heckathorn, Tomorrow’s vice president of financial services and another co-founder, comes in. Heckathorn, who before Tomorrow was president of credit website Creditnet, is licensed in all 50 states. Heckathorn was only 19 when his father was diagnosed with cancer, but his life insurance paid off the family’s mortgage, loans for his mom’s car, and Heckathorn’s college expenses. Heckathorn and the team pitch life insurance to young people through blog posts like “It’s My Life and I’ll Die How I Want To.” They even have arguments for young people without kids: If you pass away without a plan, you could saddle your family with your student loans.